If you are interested in music, you can try The Prague Spring International Music Festival, a permanent showcase for outstanding performing artists, symphony orchestras and chamber music ensembles of the world. If you prefer other kind of music (popular or rock music), this season brings to our golden city concerts of stars such as Eric Clapton, Guns n' Roses and Zappa and many more. 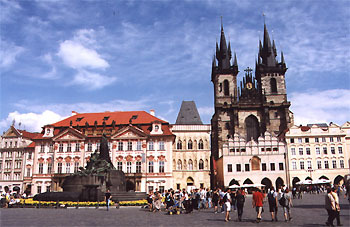 There is no reason to postpone your trip to Prague.